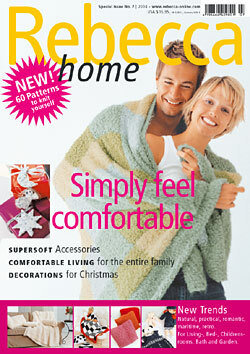 The new Rebecca Home issue is out. There are some neat ideas in there. I love all the different pillows and covers. The knick-knacky Christmas stuff is cute too. PS have you checked out Mighty Goods yet? It's an awesome shopping blog that features lots of cool stuff!